The time spent in the field increases with every new camera. The Nikon D4s is no different. Coupled with an F2 lens, I can stay out shooting as long as I can see. 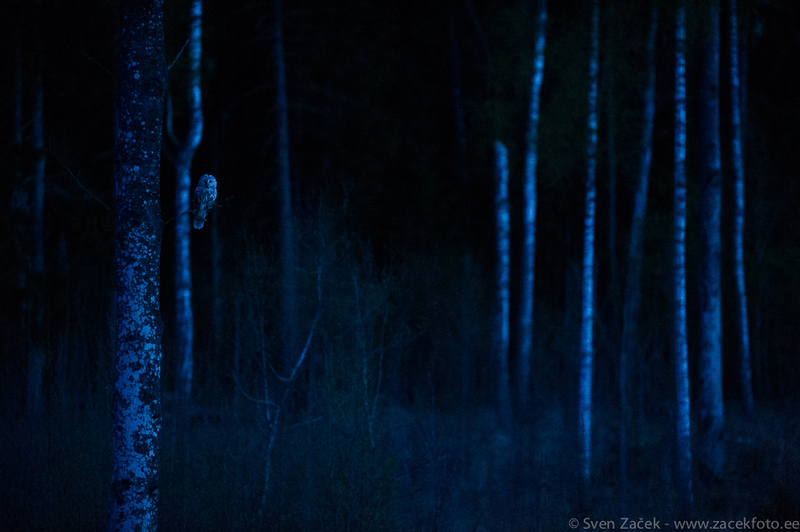 Now I am able to capture the essence of owl life, things they do after nightfall. This photo was taken with a 200mm F2 lens @ 25600 ISO. Wow! Photo info - Kevad: : Nikon D4s + Nikkor 200mm F2 VR. F2, 1/160, ISO 25600. Incredible what today technology can do. But we still need a photographer behind the camera!